The Real Deal in Real Estate Team combines the skills and knowledge of The Yi Team of Fairway Independent Mortgage Corporation and Eastern Title and Settlement. Together this mortgage lending and title insurance pair gives expert advice to guide prospective home buyers and sellers. 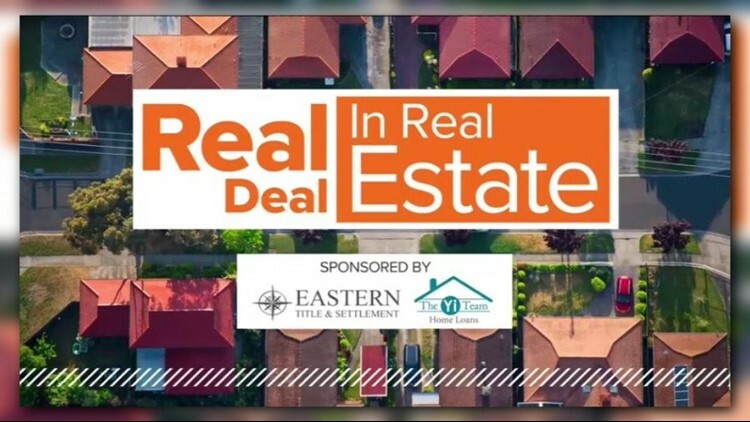 Call them at 240-422-8871 for your real estate needs, and catch them Thursdays on Great Day Washington; where they reveal their tricks of the trade. Whether it's a buyer's or seller's market, there are ways both parties can benefit in a transaction. Winter is coming. Don't let the misconception that spring is the hot season for the real estate market dissuade you. Buyers are extremely motivated and there's no reason to wait. There are many misconceptions when it comes to buying and selling homes for military veterans. Our Real Deal Pros break down the myths and the facts. Perplexed by interest rates? The constant changing numbers are hard to keep up with. Mortgage pro Chong Yi of Fairway Independent Mortgage Corporation can help guide you. In a competitive market a top notch real estate team can help you submit a winning bid for your dream home. Learn the tricks of the trade from the Real Deal in Real Estate Team. Think you know all there is to know about the real estate business? You could be making some common mistakes. These are the most common pitfalls to avoid. The home buying process can be very complicated with lots of moving parts. The Real Deal in Real Estate Pros can help you streamline the process. There's an app for that, but should you use it? The Real Deal in Real Estate Pros break down the most popular real estate apps. When the market's heating up, you've got to stay competitive. The Real Deal Pros have tips to set you ahead of the pack.